Home / Stock Picks / Hot Stocks / How Much Farther Will NVIDIA Corporation Stock Drop? How Much Farther Will NVIDIA Corporation Stock Drop? 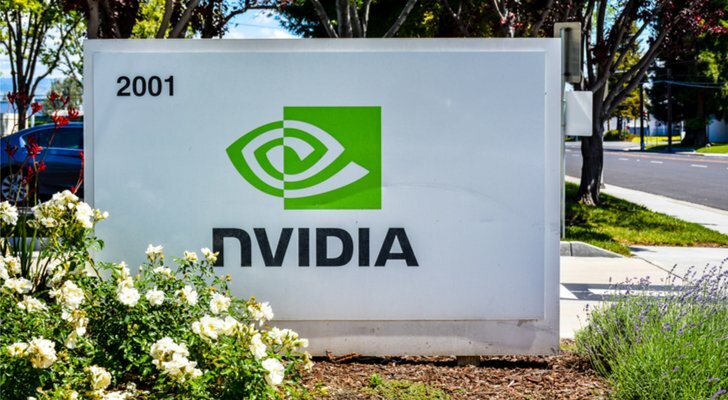 Throughout February and March, tech giant Nvidia Corporation (NASDAQ:NVDA) has struggled for gains against the backdrop of a struggling market. Nvidia stock entered February above $240. Now, its a $220 stock. Why the sudden weakness in a stock which has done nothing but grind higher over the past several years? In simple terms, Nvidia stock got way ahead of itself at $240. The valuation had expanded to levels that required perfect conditions in order to be sustainable. We haven’t gotten those perfect conditions. Instead, the tech sector has been subject to essentially the opposite of perfect conditions. Facebook Inc (NASDAQ:FB) was hit with a data breach, and now Alphabet Inc (NASDAQ:GOOG) and others are reeling in fear of forthcoming regulation. Amazon.com, Inc.(NASDAQ:AMZN) is also reeling because of regulation concerns. Tesla Inc (NASDAQ:TSLA) has been hit with production and credit issues recently. Most relevant to NVDA, the whole self-driving industry took a step back recently when an Uber self-driving car hit and killed a pedestrian in Arizona. That forced NVDA to suspend its self-driving tests. Then there is the fact that NVDA’s cryptocurrency mining tailwind is dying with falling bitcoin prices. Plus, trade war fears hang over the entire market. For companies like NVDA that have a ton of exposure to China, those fears are very relevant. Put it all together, and it is easy to see why a hyper-rich growth stock like NVDA has been stung recently. But how much farther will Nvidia stock fall? Not much farther. Most of these risks are near-term nature, and they don’t affect the company’s long-term growth narrative. Thus, once those risks pass, Nvidia stock should bounce back. From my perspective, all of the risks currently hanging over Nvidia stock are ephemeral. They are here today, but will be gone tomorrow. In this sense, they pose essentially zero threat to the long-term growth narrative of a company with exposure to multiple high-growth markets in datacenters, AI, automation, and AR/VR. Tariffs? It seems like a bunch of pride talk between two countries. The near-term damage could be very real. But we live in an increasingly global and interconnected economy, and neither the U.S. nor China really wants to permanently damage trade relations with the other. Thus, the long-term fallout should be insignificant. Investors will soon realize this, and Nvidia stock will bounce back. Broad technology pain? Facebook, Alphabet, and others will be hit with fines. But not much else will happen as a result of Facebook’s data breach. According to Facebook CEO Mark Zuckerberg, this whole incident has had no meaningful impact on user or advertiser churn. And despite Trump’s attacks against Amazon, that e-commerce giant continues to be awarded billion-dollar contracts to help modernize U.S. government operations. Longer-term, tech stocks should bounce back. Nvidia stock is one of the leaders in this group, so it should bounce back with the group. Self-driving accident? It is a tragedy, and something that should be avoided at all costs in the future. But most experts say it was destined to happen. The end goal is that self-driving cars in total are safer than human-driving cars in total. Nearly 1.3 million people die each year from road crashes, so while the Uber self-driving accident is a tragedy, it will eventually be put in context and progress in self-driving will march on. When that happens, Nvidia stock will bounce back. Falling bitcoin prices? Only 6% to 8% of NVDA’s revenues are from cryptocurrency mining. So even though falling bitcoin prices are killing the cryptocurrency mining tailwind, that won’t be a big loss for NVDA. Again, the market will realize this, as NVDA continues to report strong numbers despite falling bitcoin prices. At that point in time, Nvidia stock will bounce back. All together, none of the aforementioned risks serve as a permanent threat to NVDA stock. The only real long-term threat is the possibility of dampening demand in the company’s hyper-growth markets like data-centers, AI, VR/AR, and automation. But public cloud growth actually accelerated through the end of last year. Adoption of automated technologies is also only accelerating. VR/AR technologies have only scratched the surface of what they can do in the gaming world. And every big tech company in the world is investing big dollars into AI. In sum, demand in NVDA’s core growth markets isn’t waning. If anything, it’s actually picking up. As such, Nvidia stock might be subject to choppy trade in the near-term, but this is a long-term winner. From a valuation perspective, I peg the fair value around $200. Thus, I’m not buying here and now. But I think near-term risks could drag the stock price down to my fair value, at which point I’ll become a buyer. As of this writing, Luke Lango was long FB and GOOG. Article printed from InvestorPlace Media, https://investorplace.com/2018/04/how-much-farther-nvidia-corporation-stock-drop/.